You are underwater, looking through a spherical air bubble. What's its actual diameter? As you can see from the picture, there is no goggles to cause refraction. So how will the bubble's size be altered in our vision? Where will the refraction occur? The apparent size of the object that you perceive depends on the size of the image which is formed on the retina of your eye and that in turn depends on the visual angle - the angle that the object subtends at your eye. The visual angle does not depend on whether you observe the object in air or in water and so you will perceive the object to be the same size as it would be in air. The only complication is whether or not you would be able to focus a sharp image of the object on the retina as the power of your eye's lens system at the cornea would have been diminished when submerged. If you are wearing goggles then there is a difference and the object appears larger as is explained here. 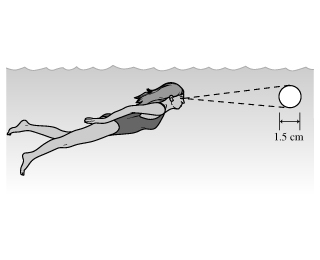 Why do I see better under water using swimming goggles? 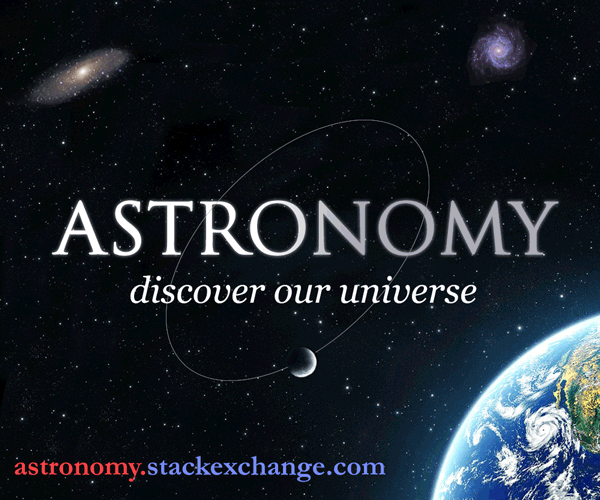 How is horizontal atmospheric refraction explained?